Several TechNet Blogs are talking about some of the confusion, but I’ll be borrowing Mike Griswold’s recent post where he has detailed a nice table on the recommended order in which these updates should be installed. 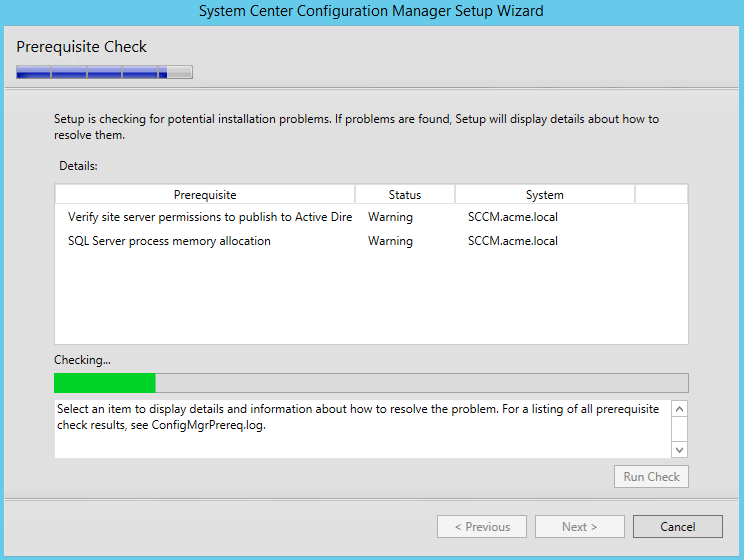 SC2012_SP2_Configmgr_SCEP.exe (780,310) – This is the actual service pack that needs to be installed for upgrades of SCCM 2012 SP1 to SP2 and SCCM 2012R2 to 2012R2 SP1. 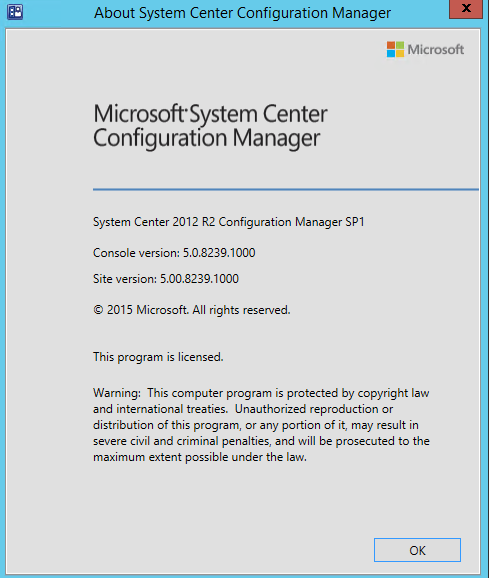 SC2012_R2_SP1_Configmgr.exe (1,128 KB) – This is just needed to enable R2 features and only runs on System Center Configuration Manager installations that have 2012 SP2 to 2012 R2 SP1. Download and extracting the SC2012_SP2_Configmgr_SCEP.exe file to a local folder on my server. Launch the Splash.hta file to receive the Microsoft System Center Configuration Manager standard menu to begin the installation. Click on Install and proceed with the wizard installer. You will be greeted by the standard “Before you Begin” page, click Next. 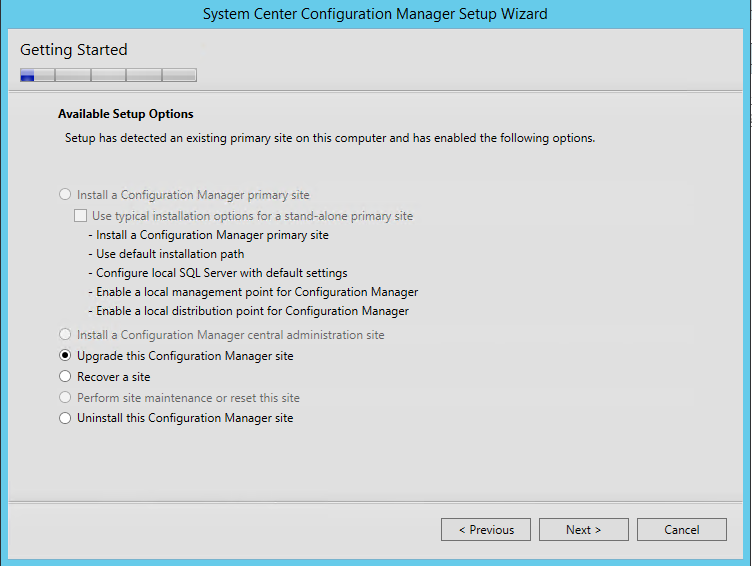 Now you will see the “Getting Started” page, here click on Upgrade this Configuration Manager Site. Now on the Microsoft Software License terms, check I accept these license terms and click Next. On the Prerequisite Licenses, check all 3 check boxes I accept these license terms and click Next. Now on the Prerequisite Downloads page, be sure to specify a location to download all the prerequisite files. In my case I used D:\Prerequisites\ path and clicked Next. On the Server Language Selection, just check the appropriate language you want and click Next. Now on the Settings Summary page, be sure to see that you are performing an Upgrade and click Next. Now the Prerequisite Check page runs through a set of checks. Be sure to not have any critical failures and review any possible warnings as shown in my lab environment. Once reviewed click on Begin Install. The installation process can take anywhere between 20 minutes up to an hour depending on what type of hardware resources are allocated on the server. Be sure to hit the View Log button to check on the installation process. Once the installation has completed you will see Core setup has completed and see the Completed Configuration Manager 2012 Server Setup – Upgrade on the ConfigMgrSetup.log file. Finally you can launch the System Center ConfigMan console and click on About Configuration Manager on the top right corner to see a new site version number 5.00.8239.1000. 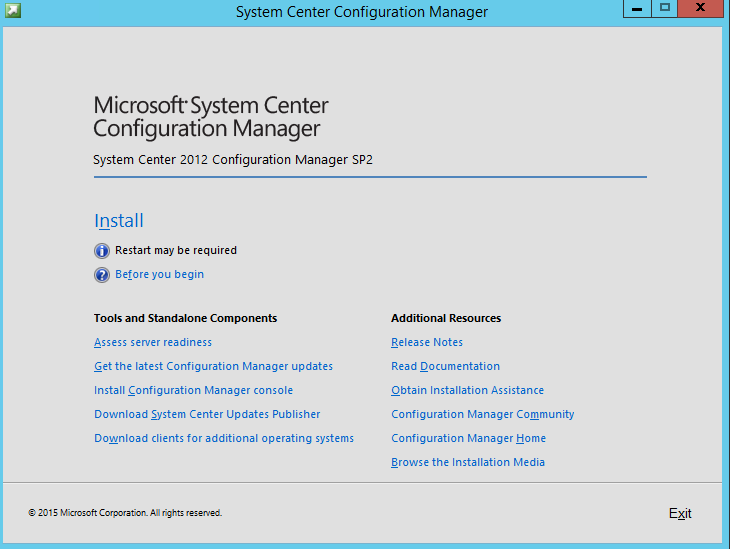 At this point you have completed the full installation of System Center Configuration Manager 2012 R2 Service Pack 1. There are a number of new features in which I will not go into detail in this post but certainty seem aimed at Windows 10 compatibility.